Nice video profile on Jerry Sneva by Robin Miller. 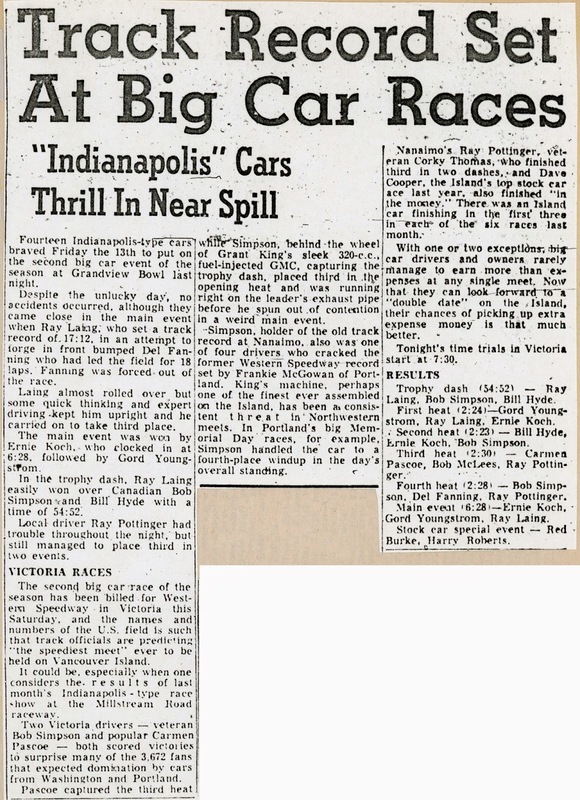 Third installment of the racing series. 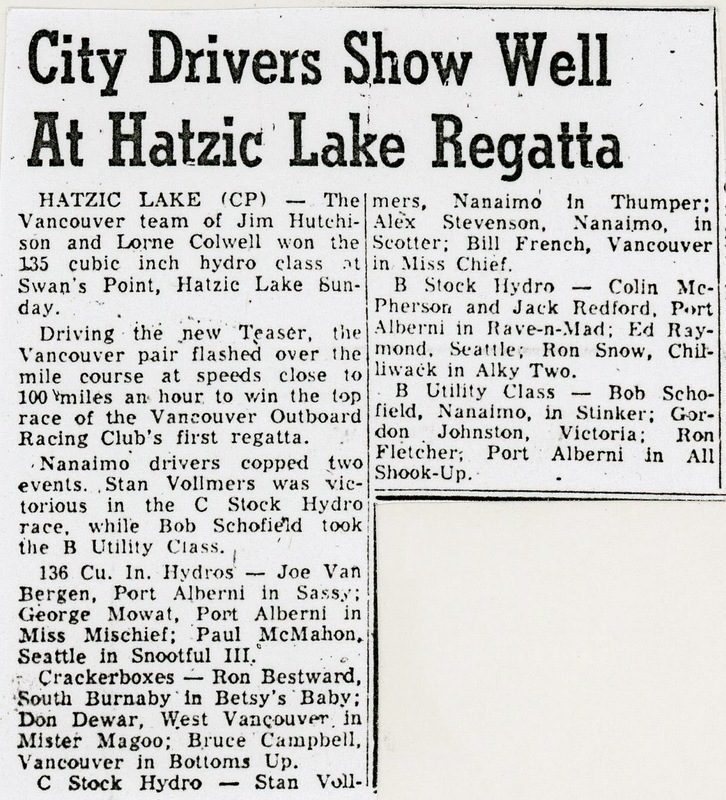 Dizzy Gillespie, "Swing Low Sweet Cadillac"
A report on the power boat races at Hatzic Lake from the Nanaimo newspaper. 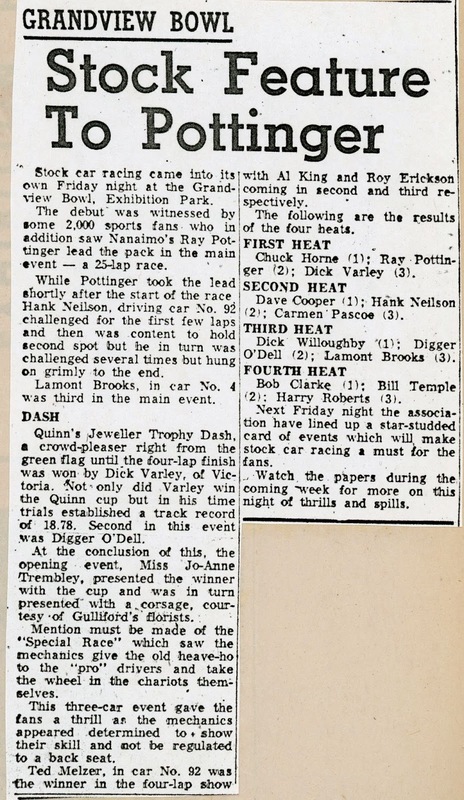 Don't know much about these except for this clipping, late in the 1958 season. 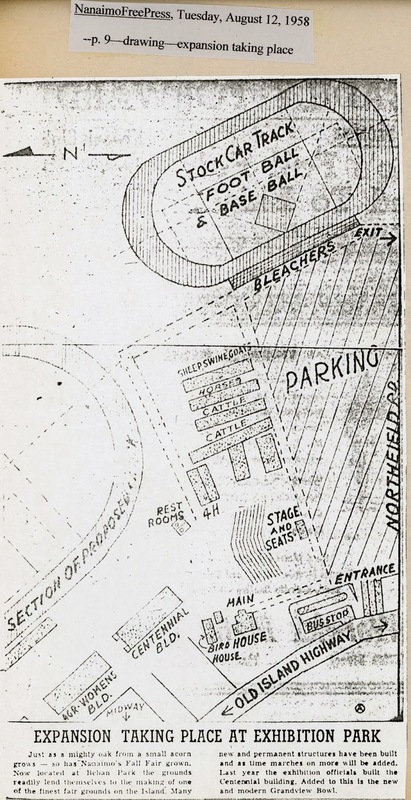 Last one for that inaugural 1958 season. 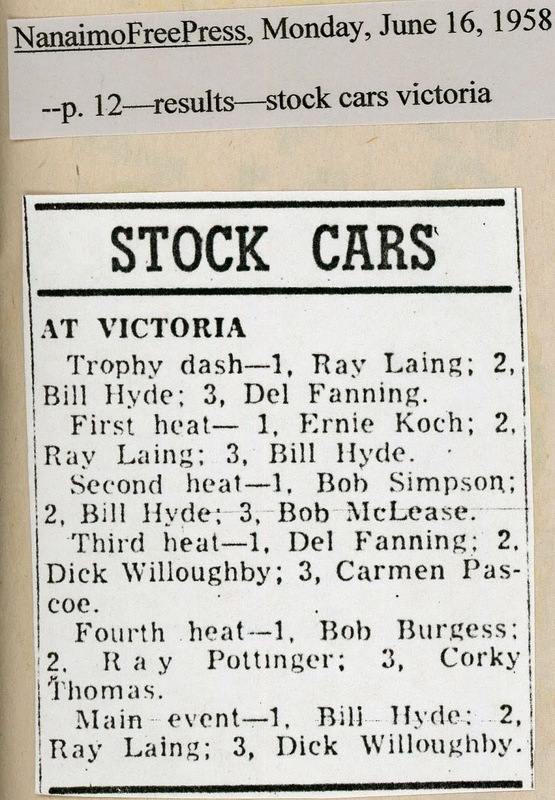 I see that Harry Roberts is going to be honoured by the Victoria Auto Racing Hall of Fame next April. Congrats to Harry! 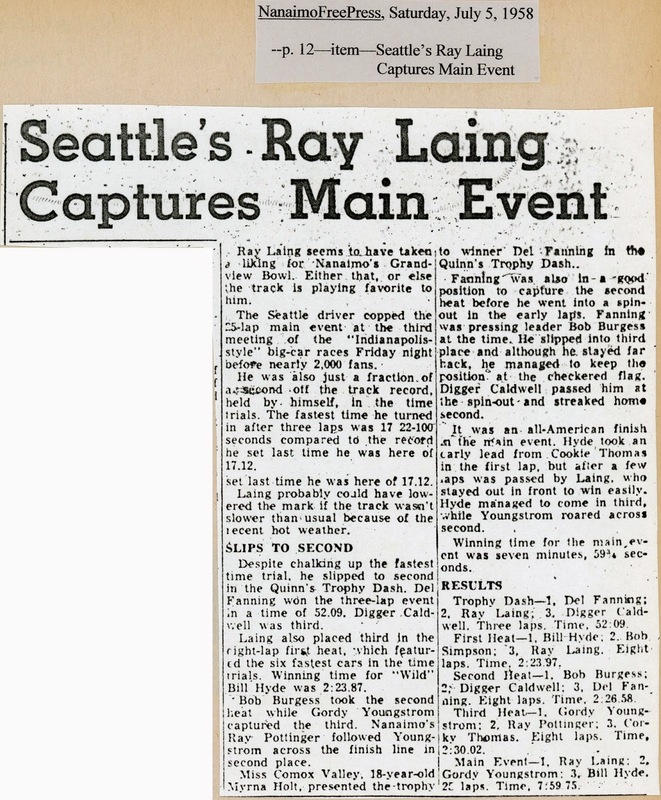 Another installment of the Alley Oop race story. Tillman Franks, "Hot Rod - Shotgun Boogie". Over the July long weekend. 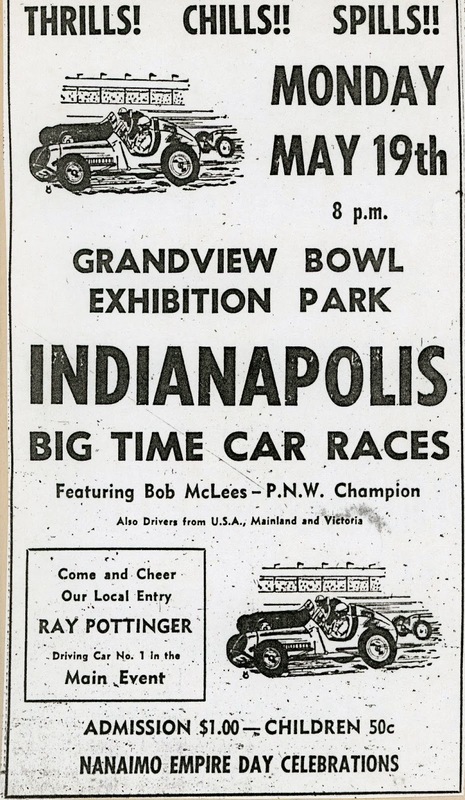 Again, at both Grandview Bowl and Western Speedway. 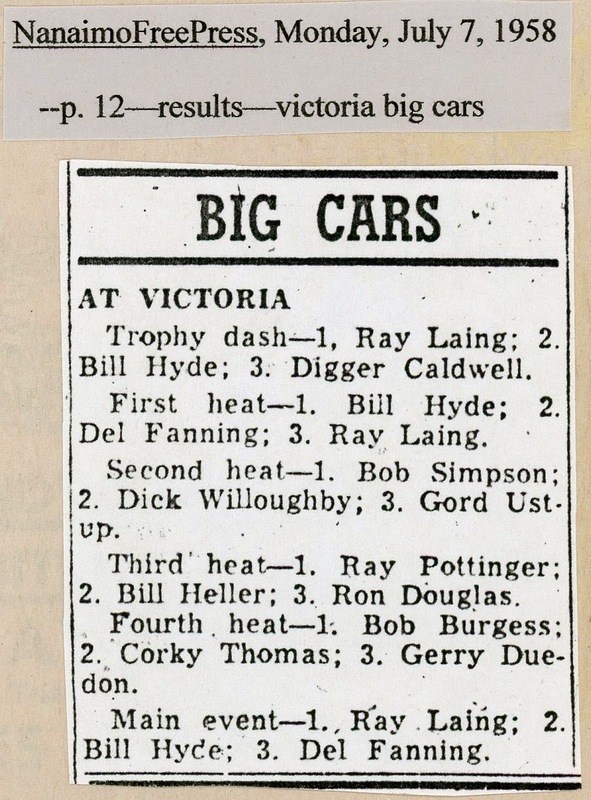 The tradition of big cars (sprint cars) traveling to Vancouver Island included Grandview Bowl as well as Victoria's Western Speedway. 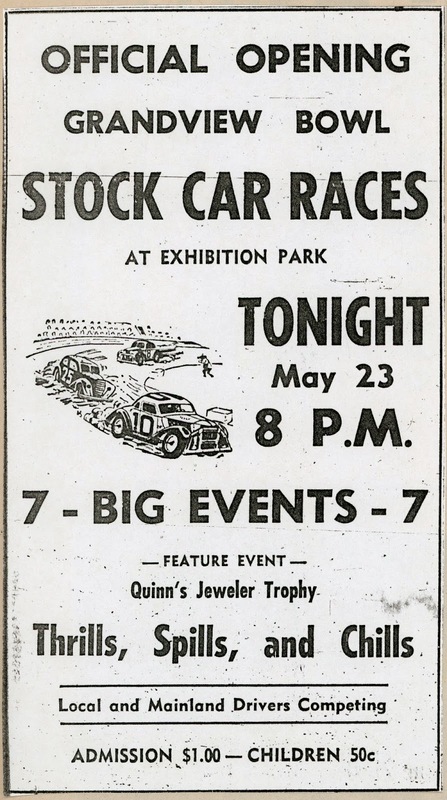 The first stock car race at Grandview Bowl. 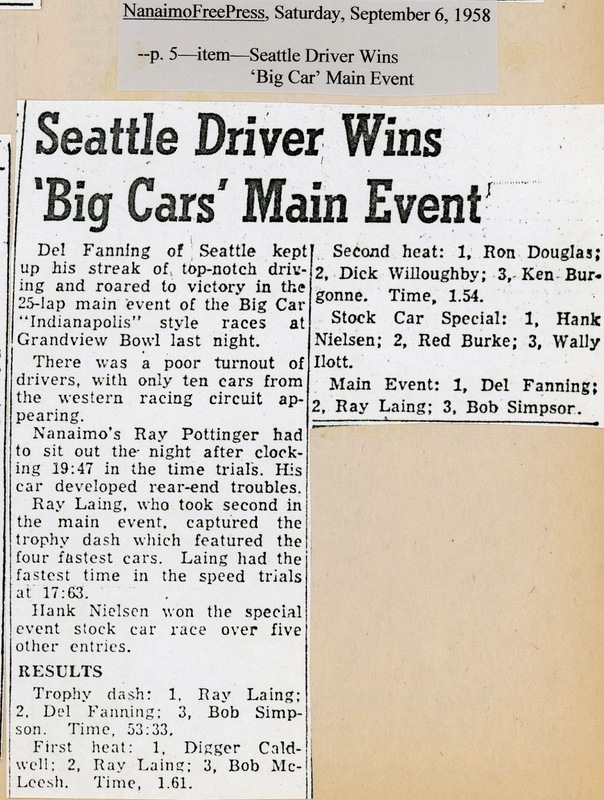 Won by Nanaimo's Ray Pottinger of course. 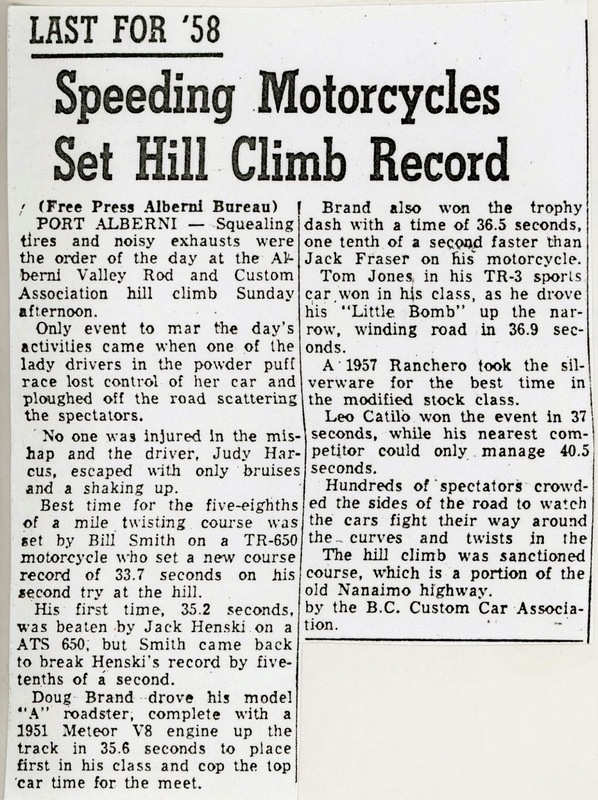 Some clippings from the first season of Grandview Bowl at Nanaimo, BC. A sequence from the old Alley Oop comic strip. 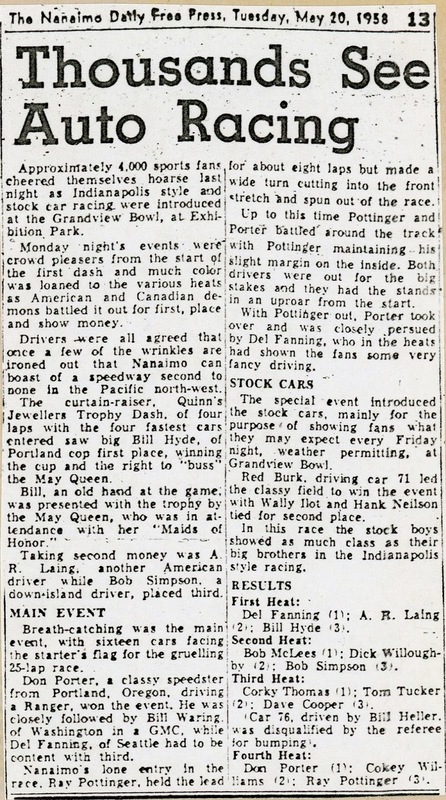 He's been sent back from the "present" (1956) to the "past" (1909) and ends up in a big auto race.